Hum.... not at my artistic best at the moment. So long out of practice. 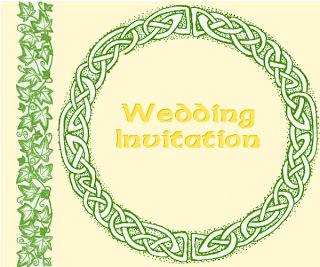 But here's the prelim' design which I have just emailed to Rachel in the hope that her superior card making skills will make it wonderful! Imagine it on a cream / ivory background, with gold lettering, and maybe a green ribbon holding it all together?? ?